Fifteen minutes in the oven and these cheeses are transformed into hot savory mezethes, appetizers, or even side dishes. Feta and kasseri cheeses are most common (read down for kasseri). 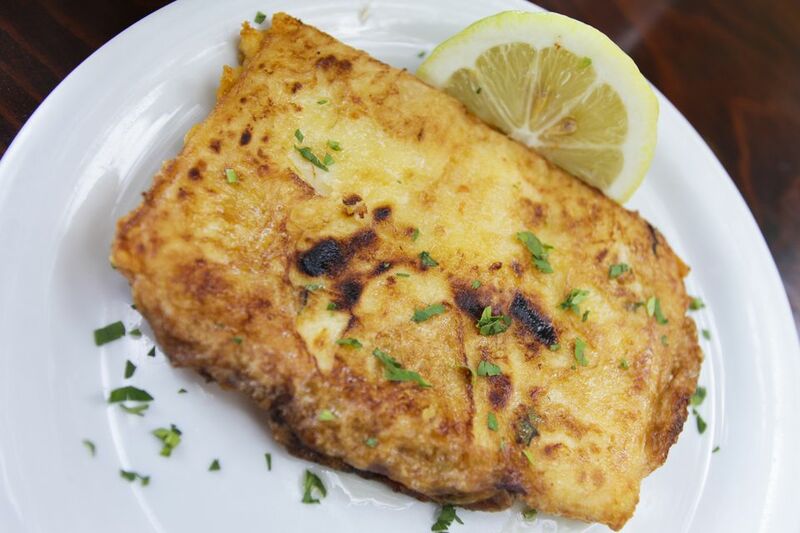 A saganaki is a small, two-handled pan, which gives its name to these oven- or stove-to-table dishes that use it. In the market, look for small paella pans or small au gratin dishes. Place the slice of feta cheese in a small oven-proof serving dish. Sprinkle the oregano over the cheese and add a grind of black pepper. Cook for 12-15 minutes depending on the thickness of the cheese slice. Place the slice of kasseri cheese in a small oven-proof serving dish and cook at 375°F (190°C) for 15 minutes or until the top of the cheese bubbles. Serve straight from the oven, with a squeeze of lemon (see photo). Note: Kasseri has a high oil content and does not need the addition of oil. When choosing a different cheese, add oil (as in the feta recipe) or not, depending on how oily the cheese is.